Join us on Cinco de Mayo this year for LIVE Music by Double Shot!! 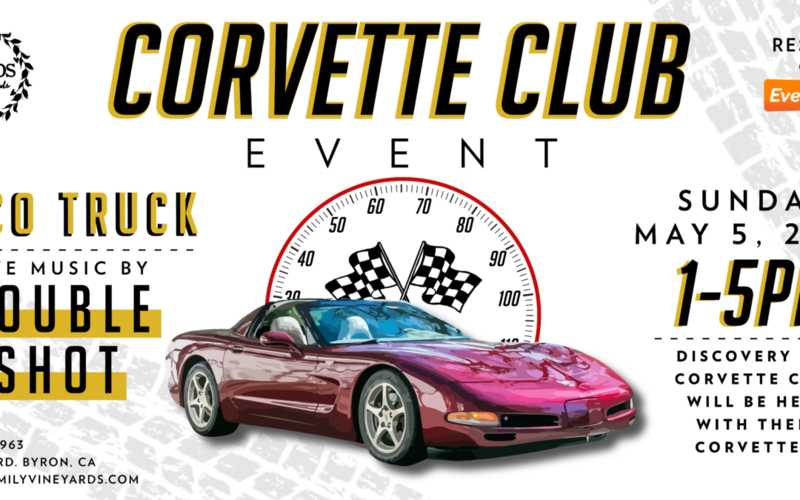 The Discovery Bay Corvette Club will be here with their Corvettes on display for you to look at it! We will have a Taco truck here as well! Come celebrate Cinco de Mayo with us outside on the lawn! Tickets are free, this event is family friendly.